Students from Rutgers University’s School of Environmental and Biological Sciences visited and toured our South Shore GKG Farm in January. A biogas project being developed by Tibbar Energy in the U.S. Virgin Island’s St. Croix is making steady progress. CEO Tania Tomyn said the 7 MW project, which will utilize Viaspace Inc.-licensed Giant King Grass as its main feedstock, is moving full speed ahead. “We are in our final stages of permitting and expect to complete them ahead of schedule,” she said. Final permits are expected in March. [PICTURES] Tibbar is testing a custom drip system that will be put in place one time for 10-plus years. Irrigation company Netafirm is helping Tibbar use the least water in the most efficient manner per acre. Besides 1,500 acres of Giant King Grass, other digester substrates include fats, oils, greases and food waste, via a partnership with the Virgin Islands Waste Management Authority, which has also signed an agreement with Tibbar to sell its treated wastewater for irrigation. The wastewater is currently discharged into the ocean. Engineering and design are also on schedule, Tomyn said. Tibbar is working with Layne Heavy Civil Inc. based in Mission Woods, Kan., one of North America's largest waste water treatment engineering, construction and procurement contractors. Layne has a strategic partnership with entec biogas gmbh of Austria, which has built over 100 biogas plants worldwide. 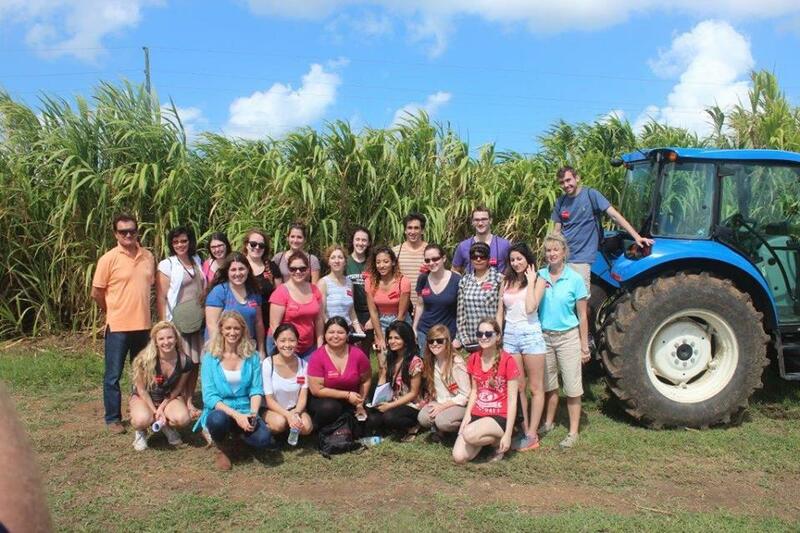 A group of students and teachers from New Jersey’s Rutgers University recently toured the GKG Farm on the South Shore, and another group is scheduled to visit mid-March, according to Tomyn. The full electrical output of the facility is under contract to the Virgin Islands Water and Power Authority through a 25-year power purchase agreement. Tibbar expects to be producing power by June 2015.